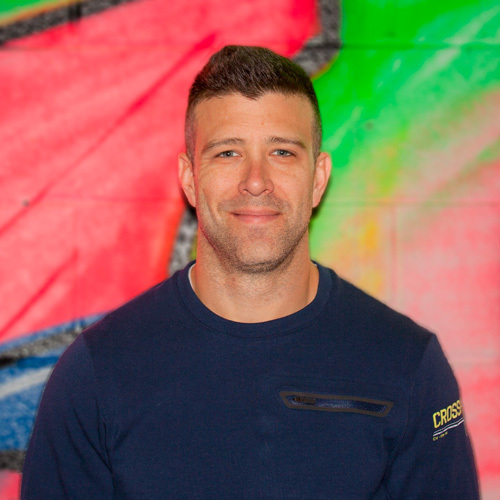 Coach Ken Field has been CrossFitting for five years, and he is passionate about teaching skills to children and adults that will help them lead a healthy and active life. Exercising and fitness has always been part of Ken’s life. He’s a physical educator at a private school in Greensboro, which helped him start his CrossFit career. “My school is very supportive of continuing education, and me getting my Level 1 was the next step in furthering my education in the gym and in my classes I teach at school,” he says. When he’s not at the gym, Ken is working to raise his two kids and be the best husband he can be to his wife of 10 years. “I’m obsessed with hanging out with my wife and kids!” he says.